Michele Anna Jordan is on a mission to change the world, one person at a time – at least in one modest way. To help make that happen, she sets out to provide an easy-to-follow guide to making homemade salad dressings. These hardly resemble commercially produced dressings, which “eclipse rather than enhance the foods they cloak,” she writes. 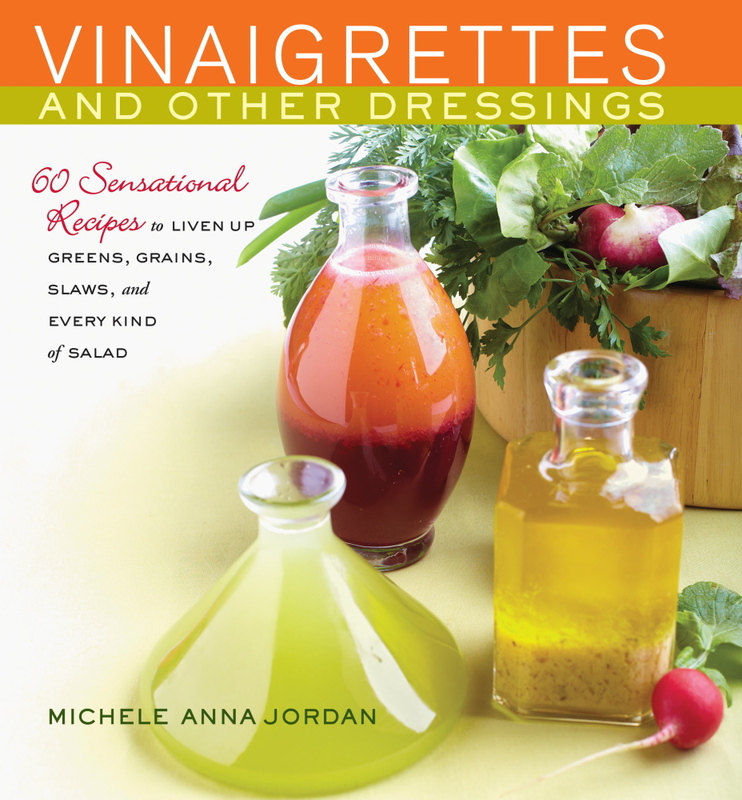 With 16 cookbooks to her name, Jordan has been called “the quintessential expert on California cuisine.” In “Vinaigrettes and Other Dressings,” she writes enthusiastically about the joy of accenting fresh vegetables, fruits and meats with simple dressings. About half of the 60 recipes are for classic vinegar and olive oil vinaigrettes that have been dressed up with ingredients such as berries, citrus, honey, bacon, nuts and wines. She includes recipes for creamy dressings, too, and she captures the cook’s imagination with globally inspired options, like an Argentine chimichurri and a Moroccan chermoula. Each dressing comes with best-use suggestions that go beyond a simple green salad: think potato, fruit and bread salads, plus ideas for using dressings on eggs, fish, poultry and meat. An extensive guide to what to stock in your pantry and what tools to use in the kitchen, as well as plenty of preparation and safety tips, round out the book. My late aunt’s contribution to family dinners was always a salad freshly assembled from her garden and dressed with homemade vinaigrettes. That and Jordan’s book have inspired me to give up bottled dressing and make my own. Tasked with bringing a salad to a recent end-of-summer lobster dinner with family, I decided to try the apple cider vinaigrette, figuring it would counterbalance the rich lobster and butter. Taking Jordan’s recommendation, I served it on a simple salad of butter lettuce, red onion and crumbled blue cheese. It was a hit. Up next for me: a warm bacon-maple vinaigrette Jordan promises is perfect on grilled corn on the cob or over fried eggs. 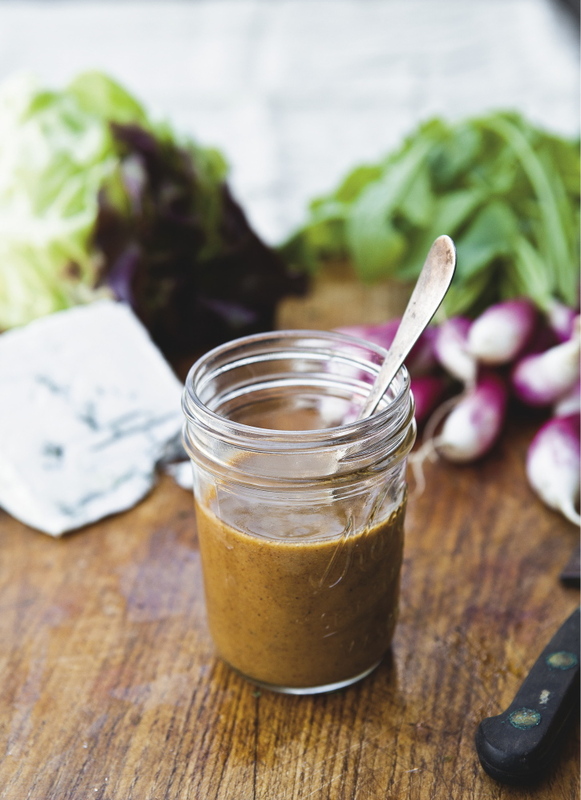 Michele Anna Jordan suggests using this vinaigrette over the inner leaves of butter lettuce with thinly sliced red onions and crumbled blue cheese, as I did, or with cabbage and apple slaw; grilled quail salad or roasted chicken salad. Put the apple juice and vinegar in a small bowl. Add the salt and several generous turns of black pepper, and stir to dissolve the salt. Mix in the olive oil and toss with salad.